Truly monster hog killed in Russia!? When you’re the company that sells the most trucks and other vehicles that tow it only seems natural to lend your name to a line of trailers, campers and toy haulers. Produced by Indiana-based Livin Life, a subsidiary of Thor Industries, the trailers and other products will be made out of advanced aluminum and other materials designed to keep the weight down and minimize rust and rot. The campers will be offered for both six and eight foot beds, while the travel trailers and toy haulers will initially be in 22-ft. and 24-ft. lengths. Plans for the future include longer 5th wheel trailers and shorter pop-up versions. I don’t expect that boat trailers will be included in the offering since they tend to be related more to the boat than the truck. 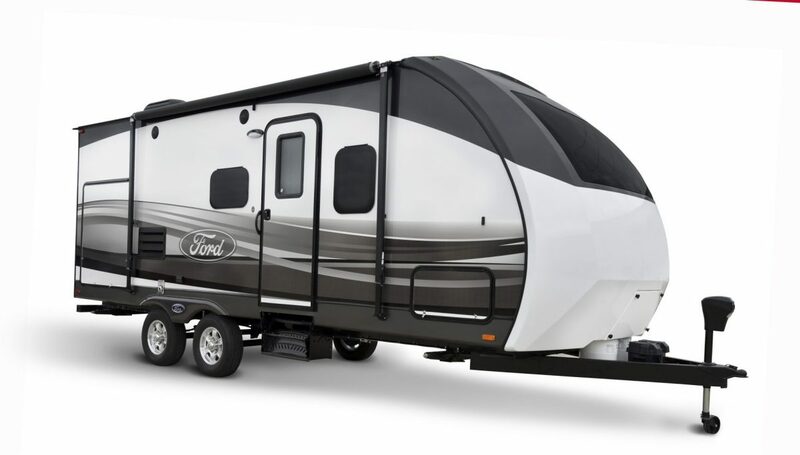 The RVs were designed by a coordinated team from Livin Life and Ford Truck Design. Some features that harmonize with the F-Series are a distinctive front end with an F-series inspired window, compatibly styled wheels and blue Ford Oval graphics. The F-series Lariat interior is the inspiration for special leathers and stitched Ford logos. 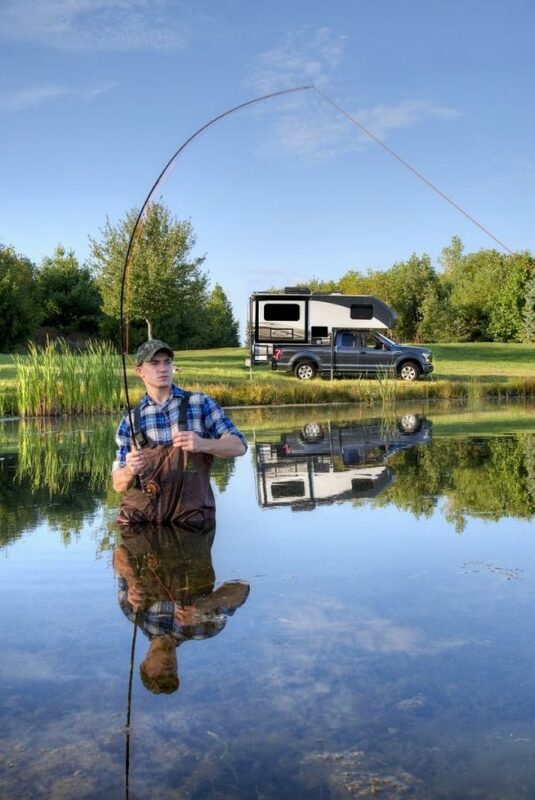 Truck campers will be available in early 2016 from certified Livin Life dealers, with the campers and coming later in the year.